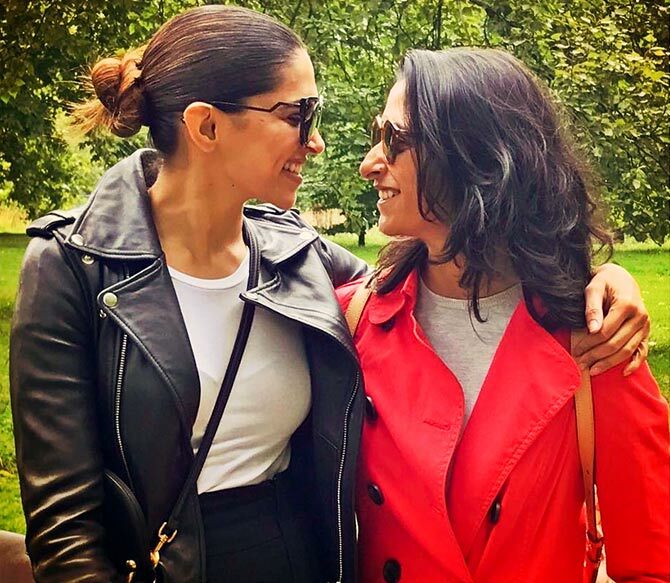 Deepika's sister bullied her on Instagram and this is how the actor got some payback. 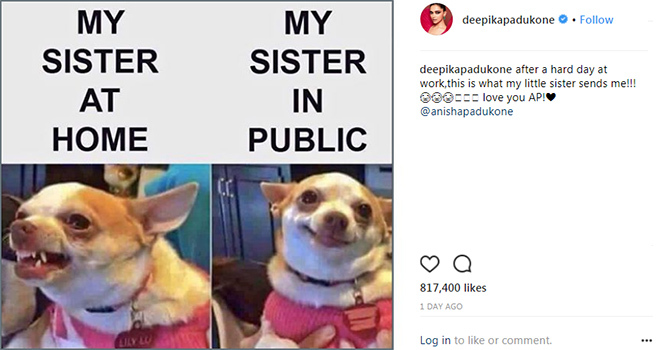 Just a day ago, Deepika Padukone posted a meme shared by her sister Anisha on Instagram. The meme, below, had a chihuahua in angry and happy mode and was meant to poke fun at Deepika's behaviour and home and in public. 'After a hard day at work, this is what my little sister sends me!!! Love you AP! @anishapadukone,' Deepika captioned the meme, which has received 8,17,400 likes. 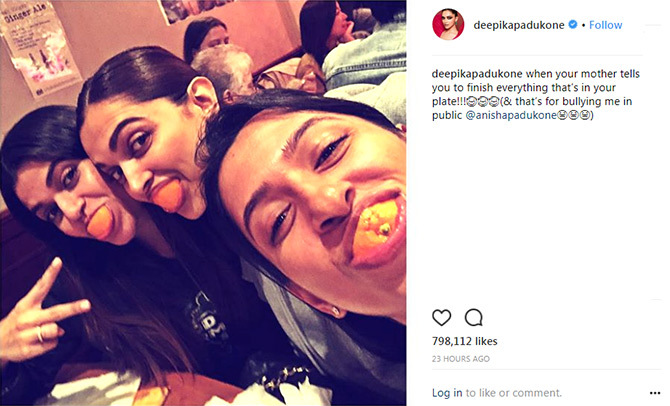 However, Deepika too decided to take sweet revenge and took to Instagram to upload an embarrassing pic of her sister stuffing her face with food. Deepika poses with her sister Anisha (right) and a friend. 'When your mother tells you to finish everything that's in your plate!!! (& that's for bullying me in public @anishapadukone),' the actor captioned the pic. #CelebStyle: 6 looks we're excited like to see again! Sonam, Dips or Anushka: Who rocked denims the best?